How did we get the idea of packing up all our stuff and do volunteer work on board a ship for 4 months with 4 kids age 0-10?? But, normally if you sign up for volunteer work on board one of the ships, it is for 1 or 2 years, and Herbert didn’t seem to like the idea of ‘jumping into the adventure’ and spend so much time on board a ship where he is not in control of what can happen! We started discussing it, praying about it, started talking to the project manager and other people within OM International and finally both we and they wanted us to join. 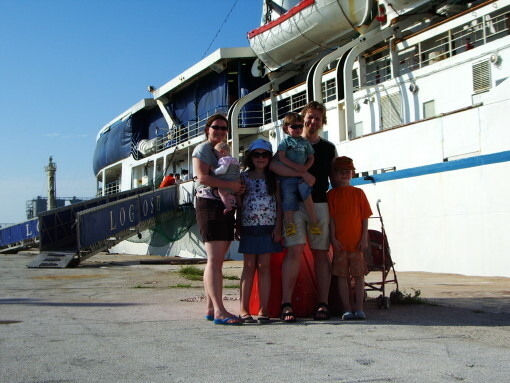 Lots of back and forward about the date we would be sailing out and how long we were going to be sailing with them, and now finally the dates are set. 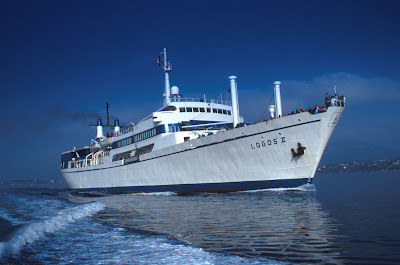 We’ll be leaving in the end of this month and will be sailing with the Logos II until mid/end of June. The ship has been in Holland in the end of January and Maria and Bente have been on the ship preparing the cabins, meeting the crew and take lots of things on board so we don’t have to take so much with us later on. The ship is currently sailing and we’ll be flying over to Bermuda to meet the fleet there! Our new home for the next 4 months!